If you like this volume, try: reading Justice League International from the mid-1980s. Known as the “Bwah-Ha-Ha-Ha!” era, this book was put together by the creative talents of J.M DeMatteis, Keith Giffen, and Kevin Maquire. Following the events of Crisis on Infinite Earths, the Justice League of America as we knew it broke up, and the title itself came to an end. In the Legends mini-series that soon followed, many heroes made their first appearance in the post-Crisis universe, including the new Justice League. This was a team of the 1980s, organized by business mogul Maxwell Lord. More emphasis was put on recruiting new heroes, with very few ties to the old League. Taking a page from the Marvel style, this Justice League fought with each other (“One punch!”), told jokes, and did not take themselves all too seriously. Booster Gold joins the team in Justice League #3 and becomes a core member for the next 10 years. DC has recently started collecting these issues in new hardcover and trade paperback editions, so it should be easy to track them down! This entry was posted in Booster Gold, DC Showcase Presents and tagged Booster Gold, Dan Jurgens, John Byrne, Mike DeCarlo, Ty Templeton. Bookmark the permalink. Pingback: LAST WEEK on the ‘net: November 3 – November 9 2014 | Ty Templeton's ART LAND!! 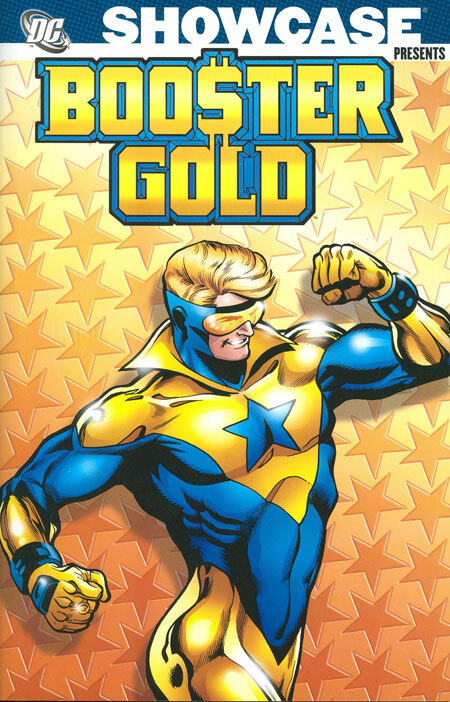 Pingback: Throwback Thursday – Showcase Presents Booster Gold Vol. 1 – WORST. COMIC. PODCAST. EVER!